Club Penguin Cheats by Mimo777 Club Penguin Cheats by Mimo777: Club Penguin Rockhopper Coming & New Reviewed By You! Maybe he's bringing the orange puffle. he might be bringing the orange puffle! I love searching for rockhopper will we do the mimo comment tracker again!?!? he could be bringing the orange puffle!! Awesome Post! Cant wait for Rockhopper! Uhh.. Maybe! And I think Orange Puffle will be here this Friday! Maybe, maybe not! Only the time will tell.. Lets wait and see what happens! I can't wait to see Yarr! And just a friendly reminder: Remember to not put CPG MOD unless you are answering someone's questions. Thanks. Of course we will do! Everyone needs your -CPG Fans- comments! Cant wait for world-famous tracker! You? i dont think hes bringing the orange puffle i think hes coming for the ST.Patricks day party!! Yeah! I hope he brings a NEW free item! I'm bored of backgrounds. lol. Maybe he is bringing the Orange Puffle! Maybe he is going to show us a new island! And there might be a speed bout to go there! And and and! Yeah! I agree with you! Orange Puffles will be here on Thursday (Or Friday). And did you know, CP releases NEW Puffle EVERY Year... That means ONE Year, ONE Puffle. Lets wait and see! (A whole year?) lol. Yeah, he's awesome! Rockhopper sometimes walks with him. Check it out! So. 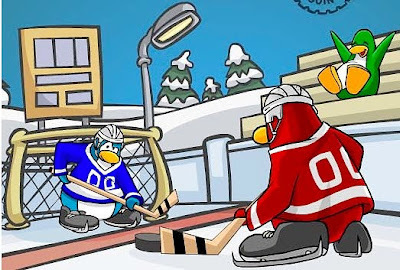 This Thursday (Or Friday) Lots of things coming to CP! Orange Puffles plus Rockhopper! hey mimo i have another idea!!!!! you know rockhopper brought the red puffles and all that!!!! well maybe club penguin bringin out the orange one but rockhopper brings magneta and browan because he found them and thought we would like them!! p.s.s. please post this mimo!! i think he might bring the orange puffle (i hope it wont be a resident only puffle non-members need more stuff too)... RIGHT? You reply under someone's comment by copying their comment and separating it in some way like this. Then you write underneath their comment. He won't be bringing the orange puffle because the orange puffle is already here. The orange puffle is already here so Rockhopper won't be bringing it. and reply to their question!!! Mimo will do the comment tracker because he always does. The orange puffles are already here so he probably won't be bringing orange puffles. Hmm maybe hes here for the new mission? Rockerhopper hasnt been in any mission so maybe he will this time. Maybe the red puffle found their brothers the orange puffle on rockhopper island. lol. Mayb rockhopper is bringing the orange puffle now. Probably. Mimo usually always does the comment tracker when a famous penguin is on cp. Hope I Helped! Mimo always has the comment tracker when a famous penguin is on cp. Hope I Helped! hey i got an idea why RH is coming!! well orange is a color kind of like red so maybe orange is another puffle from RH island! also this might be the way of when the white puffle came out of playing puffle round up this time he brings 'um.!! Don't go mental only one person did it and that was me. I just put that because I was congratulating a contest winner because it says you can do that on the rules. If I do something wrong someone will tell me and I will learn from my mistake ok. But you did make me learn something cause sometimes I put (CPG MOD) just when i'm putting a comment so thanks for the pointer. (also I haven't had as much experience as you because i'm new on the list). I bet he will! After all, the Puffle Party banner had orange and brown colors! There are two ways. One you can copy and paste which is taking your mouse and make the blue cover over the comment you want to talk about. Then go up to Edit in the top corner and click copy. After that click the comment box, go back to Edit and click paste the comment will be right there! Or you can copy the comment by looking at the comment and retyping it. He's not bringing an orange puffle he's bringing a giant purple flesh eating octopus! First of all, please don't ever do that to my ears again! Second, treasure hunt! I hope so! You just copy and paste it into the comment box. I think and hope we will! Actually, the orange puffle will probably come on Thursday. LOL that was my theory wow i think we might be twins! What?! Rockhopper is a famous penguin who is a pirate! He brought the red puffle to CP. His ship is called the Migrator. You can read some stories about him in the Book Room! I agree! Please only put (CPG MOD) when you are modding! Thanks! Safa.. I am sure you know this, but only put (CPG MOD) when you are modding.. I know you know this.. you are a great mod! Probably not a brown puffle... the orange one is coming soon.. and good luck on being a mod! Oh yeah! I forgot about the Saint Patrick's Day Party! Who knows... Maybe the zebra puffle will come! Sorry im not Safa but, I can answer your question. You copy and paste! See you commenting more soon! WOOO Nice job! Maybe Mimo will give you credit! P.S. Cant mod for a while 2nite. Sry! That is possible, a good idea, but not very likely. Club Penguin releases a new puffle each year... this year the orange.. last year the white, the year before, the yellow. It is unlikely that CP will release 3 puffles in a year... you never know though! This is a Mod Response to many comments from this post....... I just wanted to remind everyone that you should only put (CPG MOD) sfter your name when you are modding, not just commenting because you feel like it.... just wanted to remind everyone! Awesome! I cannot wait!! I wonder what his facial expression will be! Well done for asking! Wow! Rockhopper is coming! I think he will come for a Medieval party or something like that! Cant wait for Comment Tracker! Go Rockhopper! Go Rockopper! He Rocks!Most likely he will bing the orange puffle with him!If he DOES then he will be around the island!And i think we will do the Mimo comment Tracker! This means my clubpenguin year anniversary! I joined last year during march the first day rockhopper came! YAY! i know!! Yarr is so cool! ___________________________________That's what I thought at first, but it makes no sense... If the orange puffle is coming tomorow, and rockhoppers not coming until (probably) next week, the dates don't add up. I think adventure party. Awesome! remember to put (CPG MOD) after your name ONLY when you are answering other peoples questions! good luck and have fun! You must be new to Club Penguin. Rockhopper is a pirate penguin with a ship called the Migrator and a red puffle named Yarr. He sometimes docks at the lighthouse. You can tell if he's coming if you see a ship in the telescope at the Beacon. Rockhopper also has a secret room, the Captain's Quarters. You can access the room by getting the key in the end of his journal in the bookroom. The red puffle is something Rockhopper brought to Club Penguin. Their are orange puffle's in the Box zone!! Go check it out, like NOW!!! Hey Mimo! I'm of topic today and in Club Penuin, a new glilich has been discovered!So i as in an igloo trying to get to a another penguin igloo, but it won't work!!! !Anyways, Rockhopper might bring the orange puffle!!! Yeah! Isnt that cool! Club Penguin Fans keep this site going and we need your help too. And Mimo is going to set up the tracker. I think..
Rockhopper is a friendly pirate on Club Penguin who brings special items and stock from Rockhopper island. You can read more about him from his journal at the books library at the Coffee Shop. Goodluck on finding him this time! Anonymous said: mimo!he might be bringing the orange puffle!penguin name:bb9087-------------------------------------Well u know that Billy Bob said that to check out the puffle catalog, so he might not bring the orange puffle.... Rockhopper probably heard about the Puffle Party, so thats mayb y hez coming. And thats y we had that blank banner on the lighthouse so C.P. can put "Puffle Party"
Sorry, been rushing around all day! Homework, my school choir had a concert today at the high school in our district...Wow! Our director makes up raise our eyebrows instead of smiling, and I have all these wrinkles on my forehead when I do so...Omg! Random comment, but it's time to start my "Modding shift"! That would be pretty cool! But they have already been spotted so I doubt that they come from Rockhopper Island, too. But who knows? You may be right! keep up the great work Anonymous! Well done, indeed! Congratz dude/dudette! And make sure that you only put (CPG Mod) when you are Modding. Maybe, maybe maybe...Oh, and only put CPG Mod when you are Modding, ok? Thanks! Hmm...good point! I don't know about him bringing the brown puffle but you never know! You are training to be a Mod? Awesome! Good luck, and I know you will do great! I doubt he is here for the St. Patricks Day party, it isn't even March yet! Well...maybe, though! A zebra puffle?! That would be purty cool! You never know! Rockhopper is can suprise you! It's probably to celebrate the orange puffle. I love searching for rockhopper will we do the mimo comment tracker again! I like cream soda better than penguinade! Just copy then paste the comment. wow safa! keep doing a great job with the modding! Rockhopper is a famous penguin...a pirate actually! He brought red puffles from Rockhopper Island, where he lives, and one in particular is his pet: Yarr. (Lol, Yarr...Yarr! Yarr Harr Harr!...Sorry, um...lol) But, yes, usually when a party comes, like Coins For Change or the Fall Fair, he comes and brings decorations! keep searching for info harry! He's a well known penguin throughout clubpenguin that is best recognized as a red pirate penguin with an eye patch and hat. Great! Just remember to put (CPG Mod) after your name when you answer questions. he might have the orange puffle? I think he is either bring orange puffles or some party items for the release of the orange puffle. Nice guess, but I don't think so. Why else would the orange puffles be showing up around the island? I'm pretty sure it's the brown puffles. By the way, you're only suppose to put "CPG Mod" when you're actually modding! I don't think so, because the orange puffle is already around the island! Yes, Mimo always does the comment tracker when a famous penguin like Rockhopper shows up. It's fun, isn't it? That would be cool about having three new puffles this year... but, I highly doubt that. Club Penguin usually does one a year (like Toysgoneby said). maybe, but remeamber mimo said that rh is going to come around next week. I hope there is an awesome free item like an eyepatch or some pirate shoes. maybe there will be a members only room and the orange puffle is there! very true you could be right im not sure if he will bring the orange puffle because we already have that on club penguin we will find out. Rockhoper brought the red puffle so i think he will bring the orange puffle. he could be but i doubt it because the orange puffle is suppost to be here thursday but we will see. 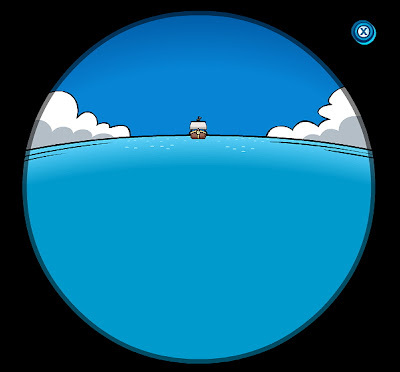 Rockhopper is a penguin that lives on rockhopper island and visits in his ship, the migrater. He has a red puffle named Yarr. He comes for special events and brought the red puffle and once wreaked his ship. He is very famous on cp. CJB44 and Anonymous u might be right maybe maybe not. thanx for posting this mimo. u rock. from the looks of it i dont think that he will be able to come on thursday cuz he looks FAR away and thursday is tomorrow! WOOT!! Yeah Myabe a new island just for orange puffles! COol! i bet u hes bringing a new catalouge for the orange puffle! YES maybe he is bringing the orange puffle or he might be sailing to come for easter?!!! !maybe it takes him 1month to sail all dat way !!! I'm sure he is bringing the orange puffle. And if he is, it will be on thursday! YeaP..!! KooLio awsumm! And y it is on Thursday? All the times new things come on Fridays. Nvm idk But it's koolio anyway :) WOOT Mimo I wonder when i will meet u in cp!!! I haven't see you anywhere?!?!? Rockhooper is soo cool!Hes the best penguin ever!I love him! Mimo usually only goes on (at least using mimo777) during cheats, and clubpenguin parties. Keep track of his twitter, and watch his site for clues for a party coming up on clubpenguin! hope you meet him! he's one fun penguin! ___________________________________A Pirate who comes to the island and brings free items, and other gear to (usually for parties) He brought red puffles to clubpenguin! When he's on the island he can be found talking with penguins, and giving out signed backgrounds. Also, you can visit his ship (The Migrator) at the beach, and you can play "Treasure Hunt on it" His visits are alot of fun! Only put CPG Mod when your replying to a comment, congratulating, or answering a question. Also, the orange puffle is already on the island, so he'd bring something we already discovered. Maybe he'll be here to celebrate the finding of the orange puffle! It doesn't seem like it since the orange puffle has already been seen around the island, and he wont be here before they come out. i bet hes gonna bring lots of orange puffles to the puffle party!..so the closest he comes (i hope) the closest orange puffles comes! i think hes coming for st patricks day since he arrives march 5th...good luck guessing!